From quite early days, the advertising and marketing for Penguin Books was associated with a kind of whimsy, a gentle sort of humour, both in terms of words and pictures. Cartoon penguins appeared in all sorts of guises to illustrate text that didn’t seem to take itself too seriously. Other companies still try to use the same kind of style today – somebody like Ben & Jerry’s for example, so maybe Penguin were ahead of their time. Here’s an example of Penguin’s (sometimes quite wordy) style, taken from an American Penguin in 1943. It’s hard to say exactly where and when they started using this style. It probably developed gradually rather than arriving fully formed. 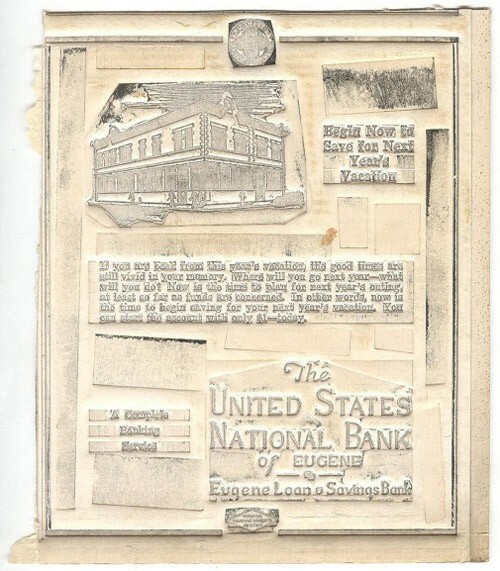 But by March 1937 there were at least the first signs of it, as shown by the small advertising booklet illustrated below. Penguin had launched in July 1935, so was almost 2 years old by this time and had already published 80 books in its main series. It had also already attracted several serious competitors. Hutchinson had launched their Pocket Library in a very similar style in November 1935 as well as their ‘Crime Book Society’ series in June 1936. The first paperback Chevron Books were on the market by February 1936 and the Collins White Circle series was only just behind in March 1936. Other competitors were certainly on the horizon. Penguin had a head start, but there was a relatively short window of opportunity for them to establish their brand, not just as one of many types of paperback books, but as the name that customers associated with the whole idea of paperbacks. They did that, not only by pushing ahead with an ambitious programme of new titles in the main series, but by diversifying away from general fiction and crime fiction into other areas. This little brochure as well as promoting the next ten main series titles (volumes 81 to 90, published on 19th March), also announces the launch of both the Penguin Shakespeare and Pelican books. Six of Shakespeare’s plays were to be published on April 23rd, Shakespeare’s birthday, and the first Pelican Books were to appear on May 21st. The Penguin Shakespeare is still published today, and Pelican Books ran for 53 years to 1990 before being recently revived. So not a bad three months work really, with volumes 91 to 100 of the main series to follow shortly after. The idea of storing vast numbers of stereotype plates in a publisher’s warehouse, as Tauchnitz seem to have done for many years, sounds incredibly old-fashioned in this digital age. But for Bernhard Tauchnitz it was the latest technology. He was in the perfect position to understand the benefits, as his uncle, the printer-publisher Karl Tauchnitz, had been the first to introduce stereotyping to Germany, and the young Bernhard had worked for him as an apprentice. So when he launched his own publishing company in 1837, it might have seemed the natural thing to do. In the 19th century every printed page involved the laborious process of building up a page of type, letter by letter into a frame, using individual cast metal letters. After printing it would be broken up, so that the letters could be re-used. If the book was later reprinted, every page would have to be re-assembled, letter by letter. 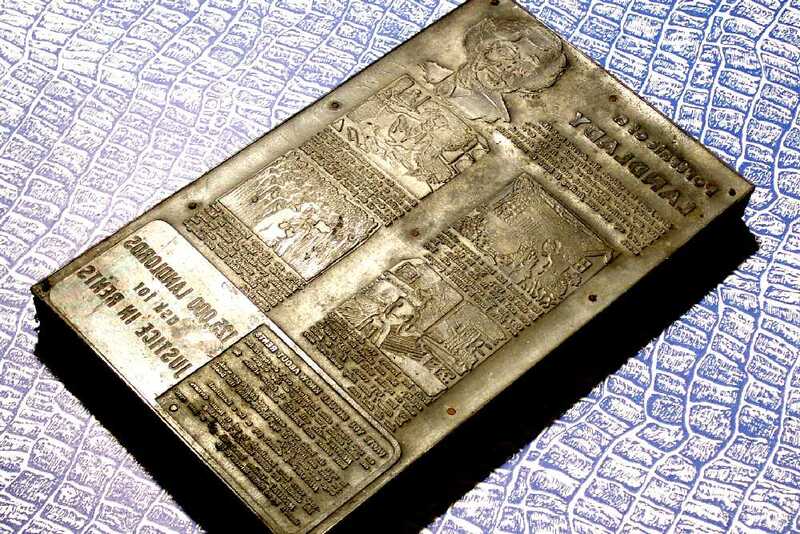 With the stereotyping process, instead of using the assembled page of type for printing directly, a mould was taken and used to create a metal plate for the whole page. 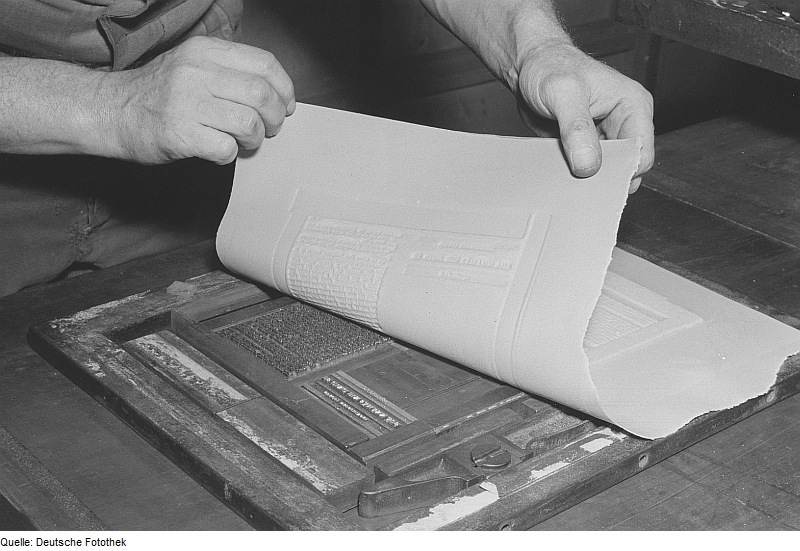 The type could then be broken up, while the plate was used for the printing and stored, so that it could be re-used if necessary. Reprinting a book became a much less expensive process, and publishers could be more cautious about the number of copies they ordered in the first printing. Yet oddly it seems that the first two volumes in the Tauchnitz Collection of British Authors, were probably not printed from stereotype plates, judging by the evidence of their reprints. Both ‘Pelham’ by Bulwer Lytton, number 1 in the series, and the first volume of ‘The Pickwick Papers’ by Dickens, were quickly not only reprinted but re-set. The first printing of Pelham has 477 pages, but the first reprint is re-set with 467 pages. The setting with 467 pages is then reprinted many times over the next 50 years or more, so almost certainly from stereotype plates. The same pattern applies for volume 1 of ‘The Pickwick Papers’. The first printing has 446 pages, but it was quickly re-set with 432 pages and that setting was then repeatedly re-used, until replaced with a third setting possibly around the 1880s. Volume 2 of Pickwick was announced for publication in December 1841, around 2 months after volume 1, although there is some doubt about the actual publication dates. Here there is no evidence of an early re-setting, with 427 pages in all early printings, so possibly by the time it was first printed, Tauchnitz had already changed his mind on stereotyping. The success of the first two volumes of the series had become evident and they were having to be reprinted, so the extra cost of producing stereotype plates seemed well justified. From that point on, stereotype plates seem to have been used for all the books. A single plate of type would have been used to print 8 sides of text (and another plate to print a further 8 sides on the back of the paper before folding and cutting), so these plates would be quite large things to store. For a typical volume, with say 320 pages, there would be around 40 stereotype plates to be stored. And by the end of the 19th century, with over 3000 volumes in print, the store might have included well over 100,000 plates. It’s difficult to imagine quite what 100,000 large metal plates would have looked like, but they must have taken up a fair amount of space. 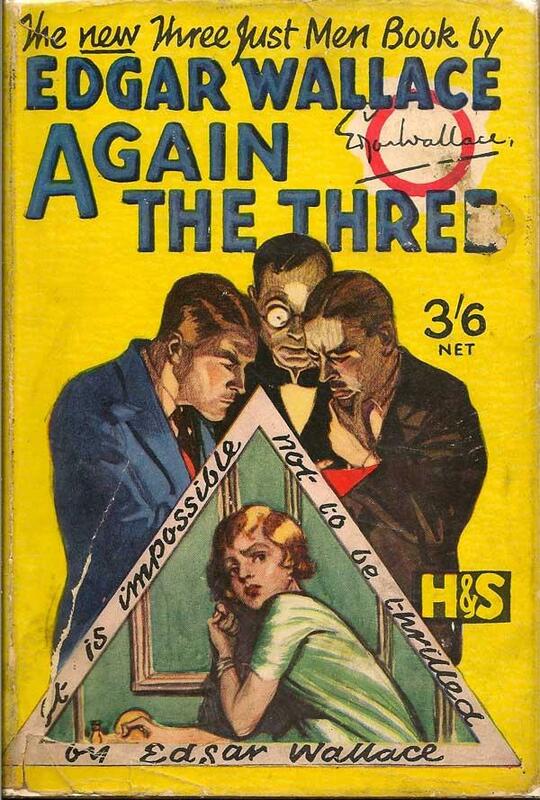 In the years both before and after the Second World War, Hodder & Stoughton were well known for their Yellow Jacket books, often stories of adventure or crime, from writers such as John Buchan, Rider Haggard, Edgar Wallace and Baroness Orczy as well as the Bulldog Drummond stories by ‘Sapper’ and ‘The Saint’ stories by Leslie Charteris. The books appeared in both paperback and hardback editions. 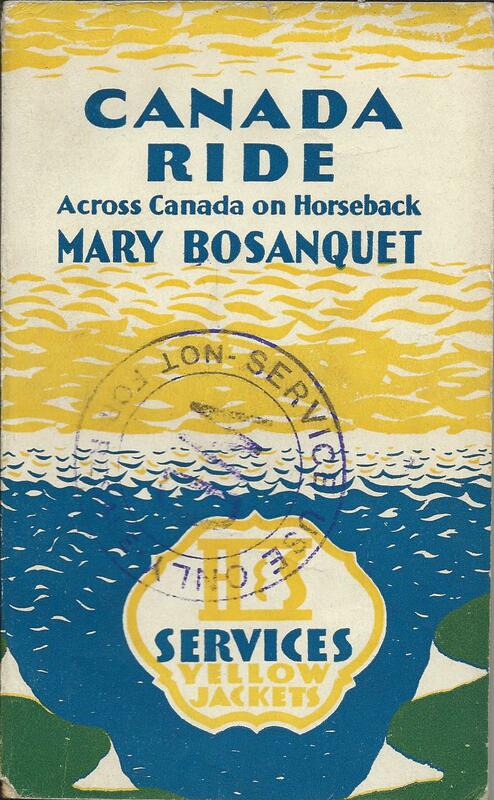 During the war, their range of titles looked well suited to the demands of the Central Services Book Depot for ‘warm’ fiction, westerns and crime, but so far as I know they didn’t contribute any books to the Guild series of Services Editions. 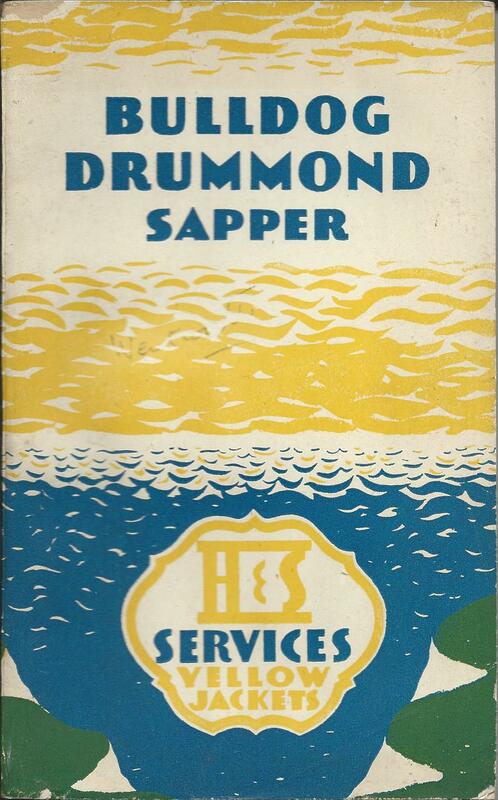 Instead they bided their time and in 1944 launched their own series, spurning the generic description of ‘Services Editions’ for their own ‘Services Yellow Jackets’. For a company that clearly then had an eye to its own brand image, it’s perhaps surprising that they didn’t go for bright yellow jackets on their services series. Instead they opted for a stylised design, apparently based on white cliffs overlooking a blue sea and a yellow sky. Do the blue swooshes, apparently representing waves on the sea, also contain a hint of the ‘blue birds over, the white cliffs of Dover’ that were a feature of “We’ll meet again”, the most popular song and the most popular film of the time? Most copies of the books would after all have been sent abroad to troops serving far from home, and perhaps dreaming of returning home (or dreaming of Vera Lynn?). I don’t know of any list of the books published as Services Yellow Jackets, other than the list I’ve put together myself, from my own collection and ones I’ve seen elsewhere. 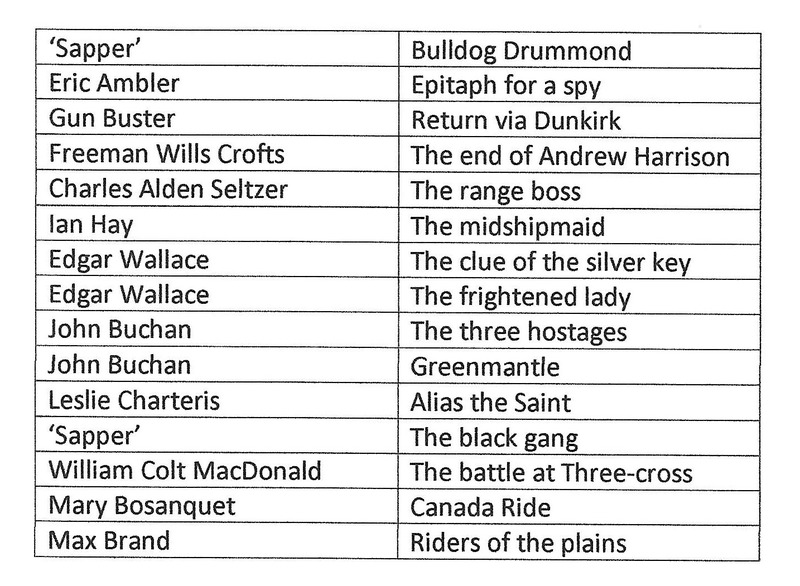 I can identify at least 15 titles, published between September 1944 and September 1945, listed below, but it seems a fair bet that there are more. Please let me know if you come across any other books in the series.